My Hero Academia season3 episode22 spoilers! The savage examination ended and the student change to their uniform. The name of the examinee who have passed the exam will be announced at the bulletin board. There is no limit in passing the second exam so all of the 100 examinee can pass the exam. The student of U.A. were nervous and waiting for the announcement. The student of U.A. searching for their names in the bulletin board and rejoice finding their name, the name of Midoriya also listed at the bulletin. Most of the student of U.A. passed the exam and receive their license but Bakugo and Todoroki did not make it. They have top ability in the class but did not do well at the second examination. The examination ended and the last word from the supervisor have been told. Student who receive the license will also bear the responsibility as a hero. 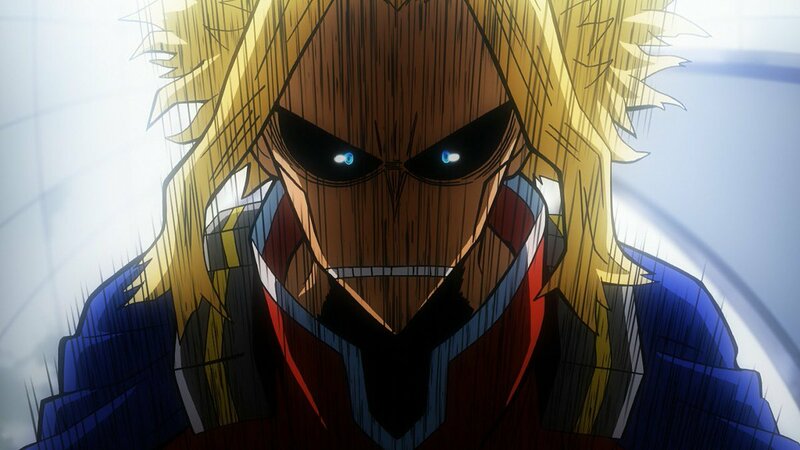 All Might has retired and the society need the effort of each hero. The examinee who did not passed the exam having another chance, after receiving special class for 3 month they are allowed to challenge the exam once more and if they pass the exam they will be given the provisional license. The student were going back to their school and the U.A. were having a communication with other schools. Midoriya wanted to greet Camie but she did not feel well and already after the site. Scenery changes Camie walking at dark alley, and Camie’s body starded to melt and Toga reveal it self. Toga use her quirk to transform to Camie and sneak in the provisional license exam and secretly steal Midoriya’s blood. While the provisional examination held, All Might were visiting someone. 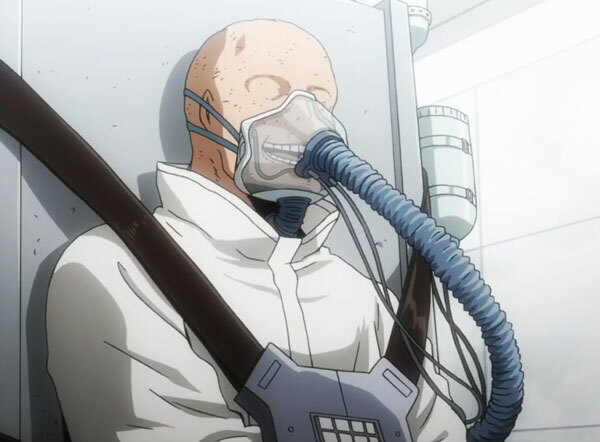 All Might went to Tartarus, a prison where the Villains imprisoned and visited One for All. One for All were happy so see All Might and make fun of All Might’s appearance. All Might question the where about of Shigaraki and asked why chose him as the successor of All for One. All for One speak All Might took all, All for One has a quirk of taking quirk of other and were dreaming to make an ideal world for him. He use his quirk to extend his life but All Might bring him down and make All for One about to die. Death is approaching and All for One decided to make a successor and Shigaraki were chosen as, and planned to kill All Might using Shigaraki. All Might enrage and answer won’t let him do such thing and leave the Tartarus. The students of U.A. have returned to dorm after the examination. While having a chat in the living room Bakugo ask Midoriya to talk outside about your quirk. After the student slept Bakugo and Midoriya were in the training area, Bakugo suspect and reasoning about the sudden appearance of quirk, All Might caring about Midoriya and ended up with All Might gave his quirk to Midoriya. 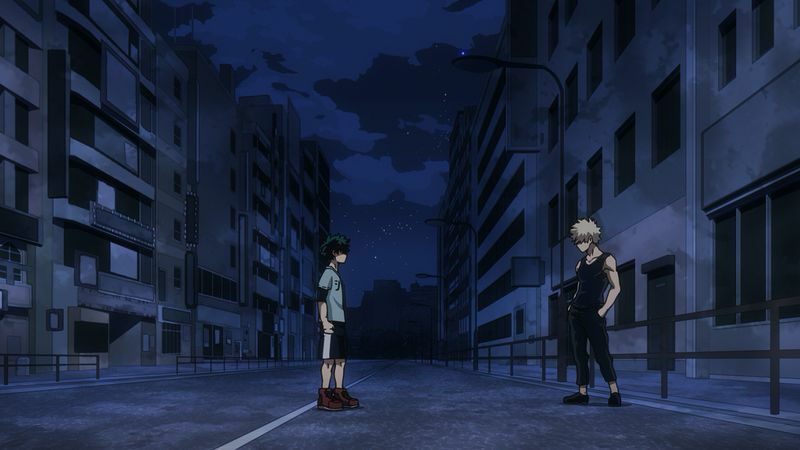 Bakugo were jealous about Midoriya acknowledge by the one who he look up to and surpass by, and Bakugo ask to fight. My Hero Academia season3 episode13 spoilers! Kaguya-sawa wa Kokurasetai ep4 spoilers! Kaguya-sawa wa Kokurasetai ep3 spoilers! Kaguya-sama wa Kokurasetai ep2 spoilers! Promised Neverland (Yakusoku no Neverland) ep5 spoiler! My Hero Academia season3 episode21 spoilers! My Hero Academia season3 episode23 spoilers!